What are some of the ways to finance a log home? This is especially important in the tight credit market that exists today. You want to make your dream a reality but there’s one small thing standing in your way – how can you afford your own log home? Can I actually afford to buy or build that log cabin in the mountains? What sort of questions might a lender ask? Start with the basics with our home financing primer. Track your net worth with the free Personal Capital financial management tool. The most common way of financing a new build is using log home construction loans although there are several other ways to finance a log home. In general, it pays to make as large a down payment as you can. Your mortgage will cost less every month and you can avoid paying for private mortgage insurance or PMI once you have at least 20% equity in your log home. 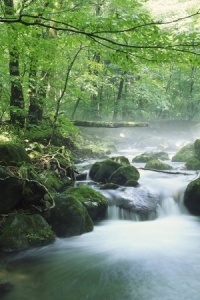 You need to be prepared as you begin the process of financing your log home. You can get a free annual credit report so that you know your credit standing and can address any issues that may have arisen in your background. Although it’s rare, the credit reporting agencies do make mistakes so you should check over your report carefully and contact the agency if you find an error. Take advantage of this to check your report for errors and to see where you stand in the credit world and what you can change to improve your score. I've found a free credit score calculator you can use to determine an estimate of your credit score. Why is that so important? Because your credit score determines how high of an interest rate a mortgage lender will charge you and how much it will cost to finance a log home. Your credit score demonstrates your credit worthiness to a potential lender – it tells them how trustworthy you are with money and how likely it is that you will make your payments faithfully and on time. It’s a good idea to try and establish a relationship with a lender and get an idea of what they will be weighing as they make the decision about your cabin mortgage loan. Not every lender is comfortable with the idea of lending for building a log cabin. Some lenders have more experience with non-conventional construction such as system built homes and log cabins. This list of log home lenders provides contact information for people specializing in these types of loans, with the background and experience to help make your project a reality. You can even get pre-qualified so you know what size loan you can take on. There are a number of ways that you can save money on your log home mortgage. Remember that this is a long-term commitment you’re making on a large amount of money so it’s important to gather all the information carefully to make a decision based on actual numbers. Check out our page on mortgage money-saving tips for even more ideas to reduce the cost of your log home mortgage. You won’t set about financing your log home many times in your life so it’s natural that everything seems unfamiliar. By avoiding three simple mistakes you will sleep better at night and be able to pay off your mortgage sooner. Log home insurance is available for both cabin buyers and cabin builders, addressing the unique issues faced when building a log cabin and living the log home lifestyle. In fact, there is a list of various types of insurance you need to consider, depending on where you are in the process. Check our our page on log home insurance for more information. Paying too little money down. Although it’s tempting to pay only a little money down, this just makes you have to borrow more and that costs you money. With a higher down payment your monthly costs will be lower and you will save big time in the long run. Borrowing with too much debt. You have to be certain that you can handle the terms of your loan, no matter how reassuring the lender may be. After all, it’s your money and your responsibility once the papers are signed. Biting off more than you can chew will haunt you for years and may even result in foreclosure. Picking the wrong mortgage. Ask questions! Don’t assume anything and don’t be afraid to ask to have something explained. There are a multitude of different mortgages available to finance a log home and you must be certain that you have chosen the right one, whether it’s a fixed-rate, adjustable-rate, balloon, interest-only or whatever. 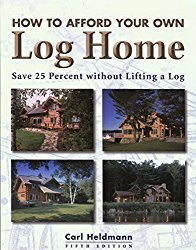 Finance a log home? It is a complicated business but by doing your homework, asking questions and analyzing your own financial situation you will find the best way to build or buy that dream log home. Found that perfect property? Learn more about your options for financing land on our pages about buying land.